Robert Brown, database manager at Grace Church School, is a long time Blackbaud user. When he discovered Blackbaud certification, he jumped at the opportunity to certify and validate his product knowledge. 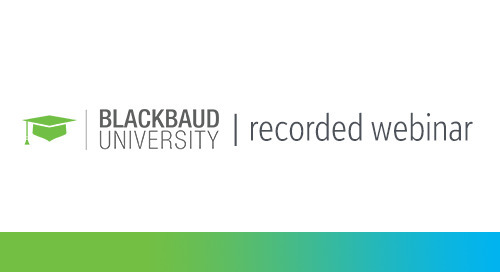 Join this webinar to hear Robert discuss how Blackbaud certification "changed his life." Since becoming certified, he has received multiple pay raises; reduced his workload by as much as 80% on some projects; and decreased his time spent on tasks, from weeks to just a day or two for completion. If you know it, certify it! 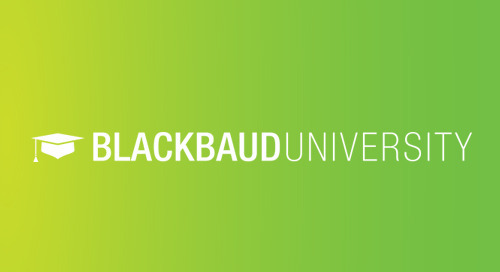 Do you have the knowledge you need to ace the Blackbaud Financial Edge NXT Fundamentals Exam? I'm ready to take the test! Not ready yet? Take the Blackbaud Financial Edge NXT Fundamentals series of prerequisite courses.